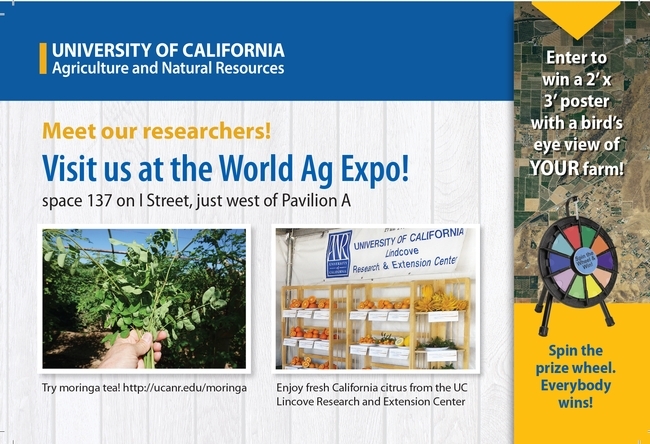 The public is invited to taste, see and learn about many UC Agriculture and Natural Resources programs offered in California at the World Ag Expo, the world's largest agricultural exposition to be held in Tulare Feb. 12-14. The Expo is at the International Agri-Center, 4500 S. Laspina St., Tulare. Visit UC ANR at the World Ag Expo in Tulare, Feb. 12-14. Mitloehner will discuss confusion in the media about the impact livestock supposedly has on our environment. This presentation reviews how the efficiencies in livestock production and environmental emissions are related, and how our producers are leading the way to a "greener future" for California and U.S. agriculture. 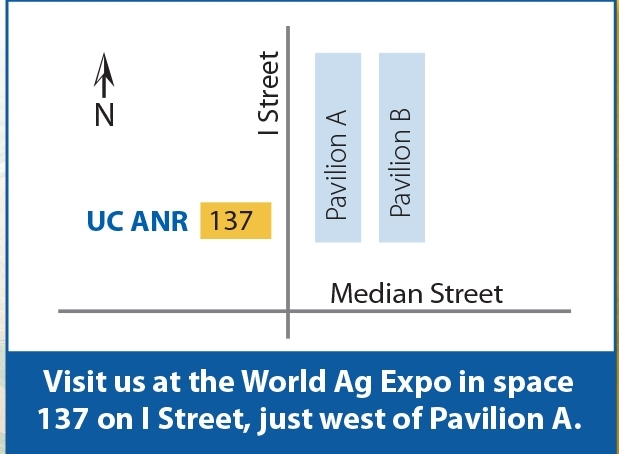 Find the UC ANR tent at the World Ag Expo on I Street, just west of Pavilion A.